Security specialists discovered the Click Me ransomware which is still under development and poses as a computer game. Learn more about the threat and how to remove it from your computer. Solution #1 Click Me Ransomware can be removed easily with the help of an anti-malware tool, a program that will clean your computer from the virus, remove any additional cyber-security threats, and protect you in the future. Click Me Ransomware can be removed manually, though it can be very hard for most home users. See the detailed tutorial below. The GData security analyst Karsten Hahn has discovered a new malware threat – The Click Me Ransomware which poses as a fun computer game. Upon execution the user is displayed a simple computer game where they need to chase an image on the screen. This is a clever distraction from the actual encryption process which happens in the background. As the virus is still under development we do not yet know the full feature list that the hackers will implement. At the current moment the available ransomware sample only targets the file located at the following location D:\ransom-flag.png. The AES encryption cipher is used and the target data is renamed with the .hacked extension. Eventually if the user clicks the button many times or presses the ENTER key the ransom note is displayed on the screen. 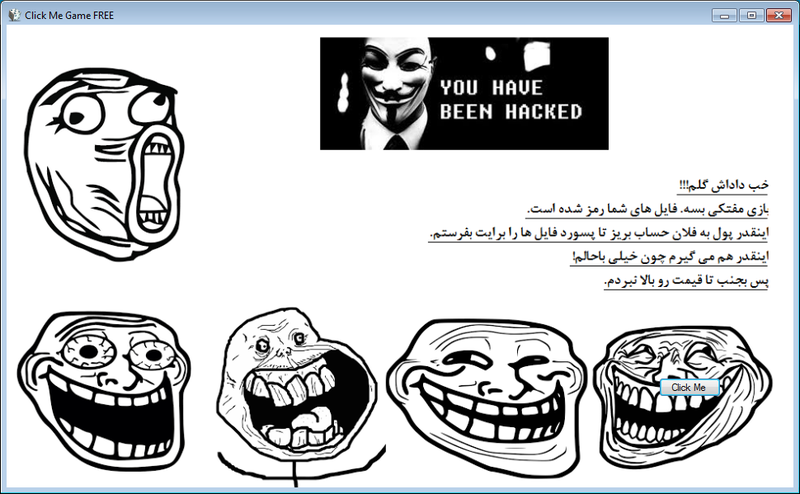 The message contains a picture of the Anonymous hacker collective with the text “You have been Hacked”. A message in Farsi (Persian) is also displayed asking for a ransom payment to restore access to the affected files. So move on I didn’t raise the price. The contained ransomware samples are not from an attack campaign. As the threat is still under active development we do not know yet what methods the hackers will employ. For a faster solution, you can run a scan with an advanced malware removal tool and delete Click Me completely with a few mouse clicks. Manual removal of Click Me requires being familiar with system files and registries. Removal of any important data can lead to permanent system damage. Prevent this troublesome effect – delete Click Me ransomware with SpyHunter malware removal tool. 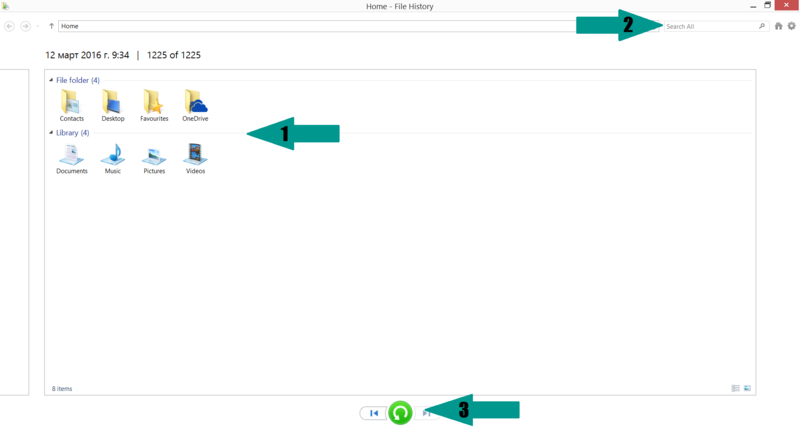 For a faster solution, you can run a scan with an advanced malware removal tool and delete Click Me Ransomware completely with a few mouse clicks.